Quick, Fast, but notsomuch in a hurry Auction! Please thumb this auction when you stop by! Auction is closed. GMs will come on Sunday. For anything that did not sell, if you'd like to make an offer, please GM us. Essen is coming! Essen is coming! Shipping is worldwide only. Sorry to our intergalactic friends. Shipping will be paid entirely by the buyer. We will ship via USPS Priority whenever possible so that you can get your new shinys as quickly as possible. If you'd prefer USPS Parcel post or whatnot, just contact us before we figure out shipping for you and we'll accommodate that. For anyone not in the US, please keep in mind how much shipping will be (prices have recently increased, significantly). Make sure you can commit to the cost before bidding! We will combine shipping costs if you buy more than one item. Items ship from zip code 80022. If you'd like insurance, we'll add that into the shipping quote. Once games leave our possession, we are no longer responsible for them. That said, we'd recommend insurance, just in case. We're on-board for local pickup, too! This is a pretty quick auction. We will ship your game(s) within 3 business days of payment, usually within a day or two. 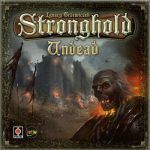 All sales are set up and completed on the BGG marketplace so they can get their 3%. Serious bidding only. If you bid and win, then you need to pay within a reasonable amount of time. Payment will be accepted via PayPal (or cash if local pickup). Each item has a minimum bid of $1. Please only bid in whole dollar amounts. Also for most items, we've set a soft reserve & a Buy It Now price. The soft reserve is the $ amount at which we will definitely sell. Below that, we'll decide at the auctions end. You can bypass all the bidding by using the "Buy it absolutelyrightnowIcan'twaittogetthisgame" option. 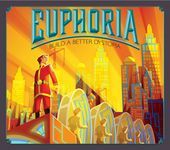 If you don't want to wait until the auction is over to have the game shipped to you, please let us know and we'll set up a BGG listing for you to purchase. Trades and package deals will be entertained via GM ONLY! All reasonable offers will be considered. 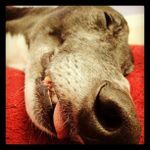 Our greyhound, Asher, would like to say hello to all visitors and bidders, however, like a greyhound, he was too busy sleeping! New in shrink. This is for the 'regular' version, not the GenCon editon. 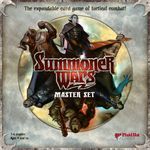 This is for a massive Summoner Wars collection. Being completists, we had to get most everything and then found out that this wasn't our cup of tea. 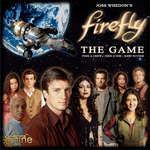 We debated whether to include this (hence why it got added a week late), but realized we're not going to play it, so into the auction it goes. Everything that is opened is sleeved and they will remain sleeved. All the cards have been sleeved from the beginning, so they're all in "Like New" condition. The cards don't fit well into the Master Set insert when sleeved, but we can include the insert if you want. Just know that shipping will be more since it'll be in a bigger box. Without the insert, it should be considerably cheaper to ship. This is for the Kickstarter Edition of the game, including all the stretch goals. See HERE! for all the details. This is on schedule to be delivered to all backers in December of this year, so this would make a killer Christmas present for someone special! We will ship it to you as soon as we receive the game. We are keeping one copy that we ordered, of course! Condition: Significant shelf wear on the box, but the box is structurally sound. The components are UNPUNCHED and in new condition. Condition: Given this...a couple of the corners of the box are dented and some shelf wear on the corners, but otherwise, box looks good. Components are bagged but not verified, hence the price. Condition: Bought used, but in great shape. Cards bagged. Minor shelf wear on the box. This is pretty hard to find and very much OOP. We literally got the last 2 in stock, direct from Portal Games in Poland. Just a note, but this is a BIG box. Will not fit in a Priority Mail box. Pulled due to finding board warped.